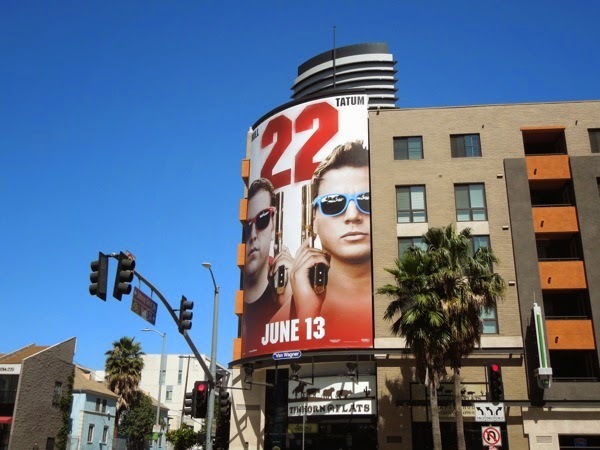 When the 21 Jump Street movie remake beat box office expectations in 2012, it was only a matter of time before we'd be seeing a sequel and as if by magic, 22 Jump Street arrives for another undercover operation. 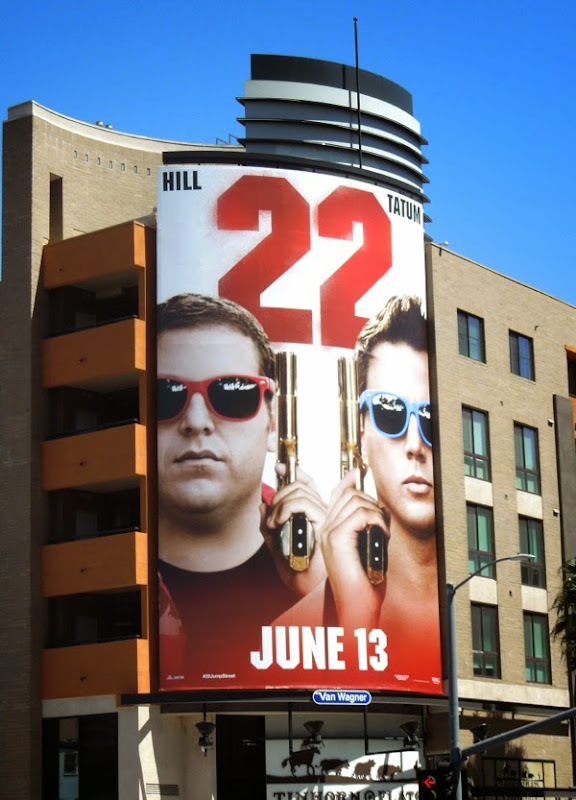 This time Jonah Hill's officer 'Schmidt' and Channing Tatum's 'Jenko' are graduating high school and heading to college for a deep cover assignment, but can their partnership survive the trials of freshman year before they can crack the case. 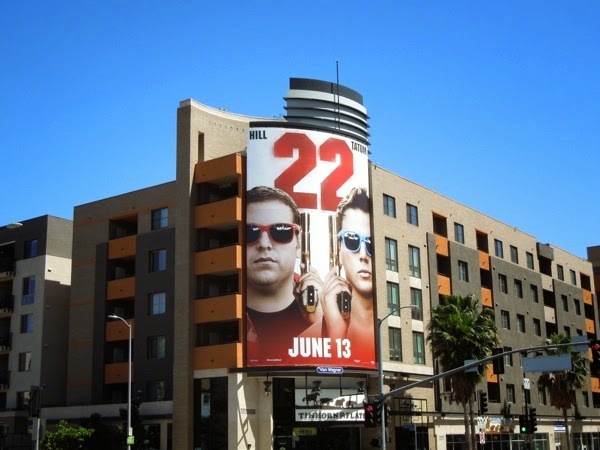 Neither actors have been resting on their laurels since the first Jump Street installment. Channing Tatum's star has been rising in Hollywoodland thanks to key roles in Magic Mike, G. I. Joe: Retaliation and White House Down, and even becoming a new dad with his actress wife Jenna Dewan-Tatum, plus he has a starring role in the Wachowski Brothers sci-fi movie Jupiter Ascending due this Summer. 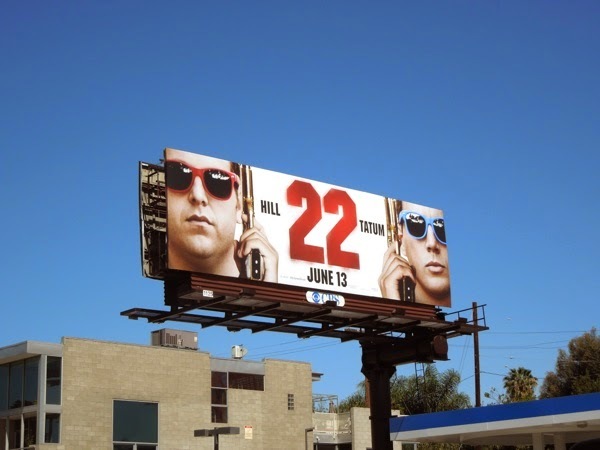 Meanwhile, following his Supporting Actor Academy Award nomination for Moneyball in 2011, Jonah Hill received his second Oscar nomination for his supporting role in Martin Scorsese's The Wolf of Wall Street. 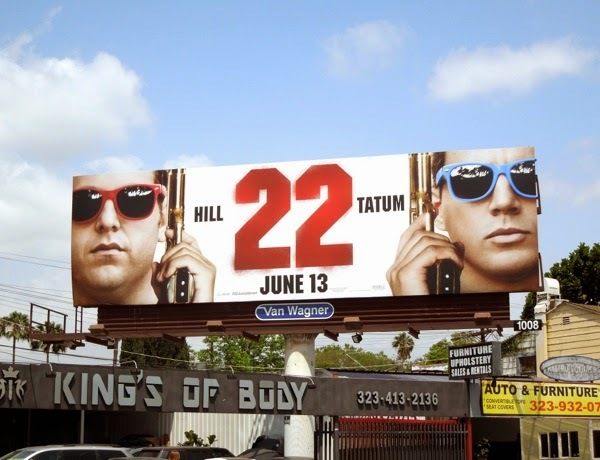 However don't expect anything Oscar worthy in this movie sequel, although you can probably expect lots more R-Rated laughs and great on-screen chemistry between this unlikely comedy duo. 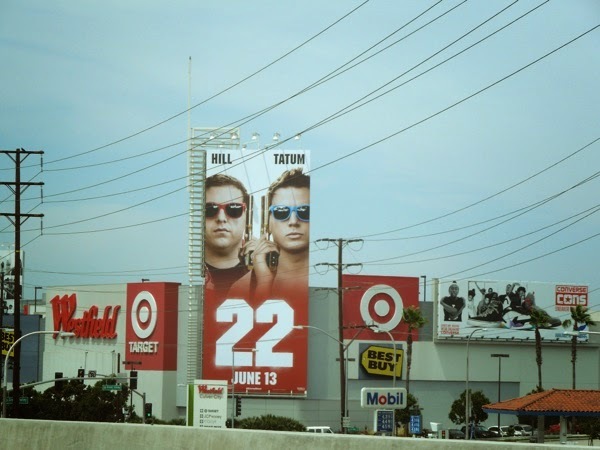 These 22 Jump Street film billboards were spied around the streets of L.A. from May 8 to May 11, 2014, along Wilshire Boulevard, Melrose Avenue, Highland Avenue and at Westfield Culver City shopping mall. 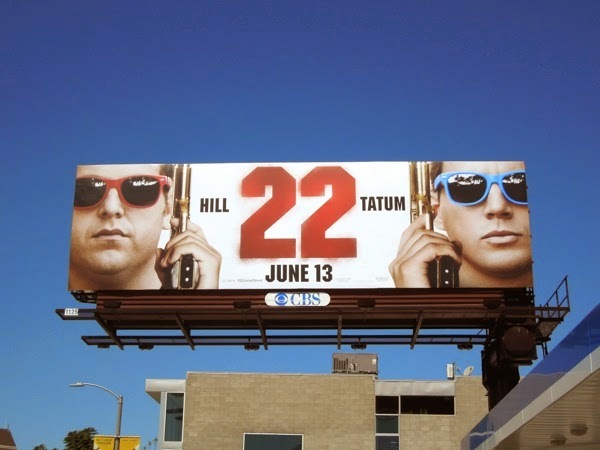 If you're a fan of the cop buddy pairing, be sure to also check out these movie billboards for 21 Jump Street from 2012. 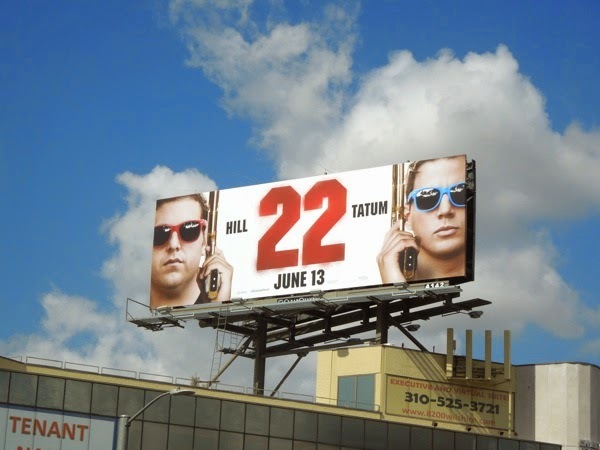 It's time to take this movie franchise to a whole other level with these boys back on the beat.